Developping a passion for Mathematics and Physics, as well for manual work, Vladimir Skoda trains to become a metal worker, and follows drawing classes. He was accepted at the “beaux-arts” in Paris when at 26, and worked with iron wire. 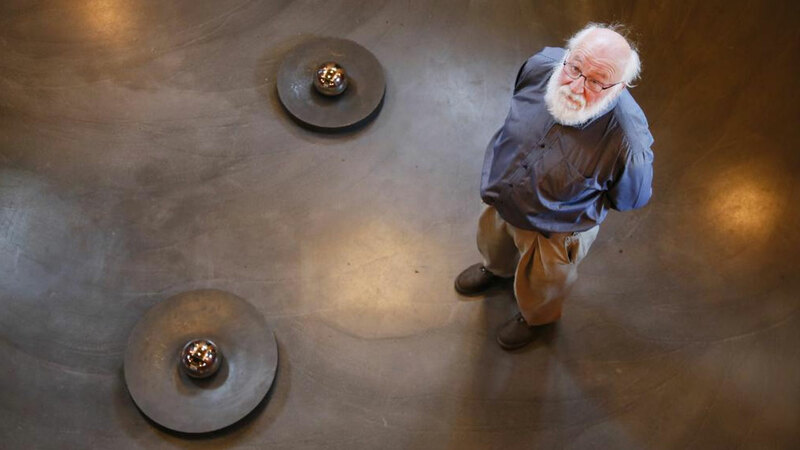 In the early 80’s, he created his firsts sculptures of reflecting spheres. His work, clearly recognazible, is focused on the low of physics and of the cosmos. Skoda polishes shapes and make the surfaces look close to perfection. Skoda’s work, graphic or sculptural, share with the observer the artist’s fascination to outerspace, as it evokes the universal infinite and the total abstraction of laws of gravity. The exhibition in Strasbourg highlighted two unknown dimensions of Skoda’s work : the sound, and his friendship with music artists such as Gerard Grisey. The inauguration featured a live show by the “Percussions de Strasbourg”.